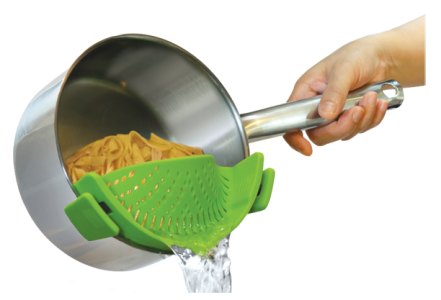 The world's smallest, lightest and most convenient strainer! 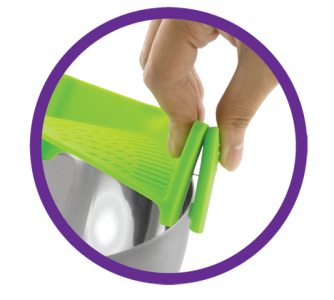 Thanks to the smart clip design, the Snap'n Strain™ 2.0 helps you hold the strainer securely onto the pot's rim and free up your hand for other work. You simply snap it onto the rim of the pot, then strain to GO! 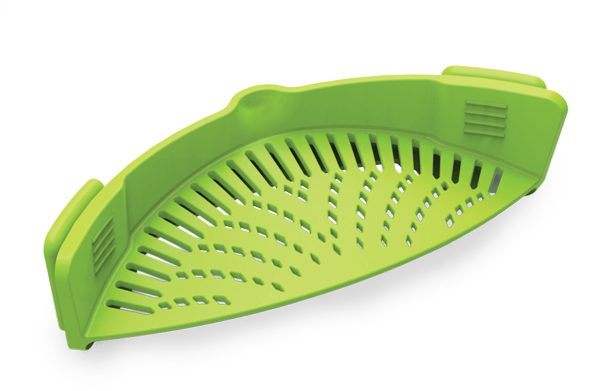 The Snap'n Strain™ is a new way of straining solid food from liquid. 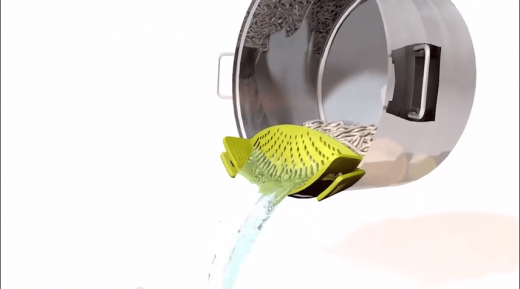 The world's smallest, lightest and most convenient strainer! 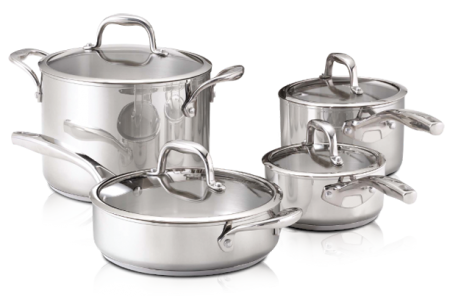 It is heat resistant and dishwasher safe.